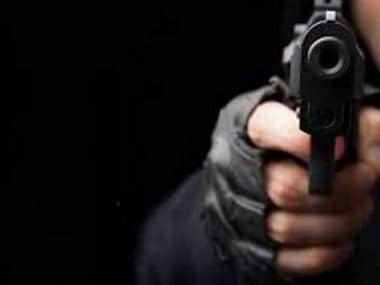 Militants on Tuesday shot at Rashtriya Swayamsevak Sangh member Chandrakant Sharma in Kishtwar district of Jammu and Kashmir, killing him and his personal security officer. 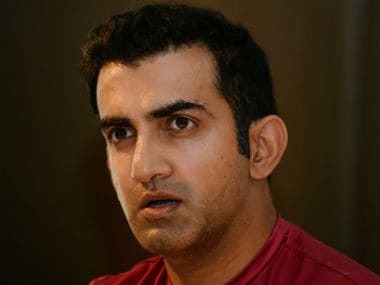 Sharma had initially been injured and was undergoing treatment. BJP spokesperson Sunil Sethi confirmed later on Tuesday that the RSS worker had succumbed to his injuries. ANI has reported that Sharma was a medical assistant at the Kishtwar district hospital. A video shared on Twitter, purportedly of the aftermath of the incident, shows security personnel rushing in and out of the outpatients' department of a hospital where Sharma was presumably shot. Police officials have said Sharma was working at the hospital when he was shot at. PTI, meanwhile, has reported that Sharma had gone to the local hospital for a check-up. It is therefore not clear whether he was shot while at work or while waiting for the check-up. PTI quoted officials as having said that militants had barged into the hospital and snatched the security officer's weapon. "They attempted to fire at the RSS leader. In the ensuing scuffle, the policeman was shot dead while the RSS leader received injuries," an official said in the minutes following the incident. Shortly after the incident, police imposed curfew across the whole of Kishtwar. 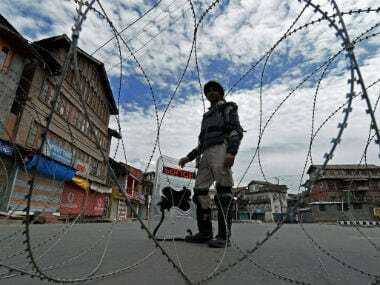 An official at the Kishtwar Deputy Commissioner's office said the curfew was imposed to ensure that no untoward incidents took place and tension could dissipate fast. Internet services have been snapped in Kishtwar following huge protests in the aftermath of the attack, reports say. The district has previously seen incidents of communal clashes between Hindus and Muslims in 2013, in which three people were killed. The clashes, then, had followed a brawl between two groups, during an Eid procession. A police official said militancy had been largely under control in Kishtwar but did not rule out the possibility of "old militants" having become active from the area. 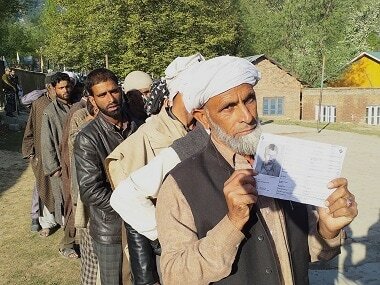 Sentiments in the Valley have not exactly been favourable to the ruling Bharatiya Janata Party dispensation, thanks to reasons ranging from the ban on the Jammu and Kashmir Highway to the BJP's poll promise of abrogating Articles 370 and 35A, which give Jammu and Kashmir special status. The administration in Jammu and Kashmir, currently under the Governor's Rule, has implemented an 'authoritative' order that prevents civilians from travelling the National Highway 44 on Sundays and Wednesdays until 31 May. This has led to a huge uproar in the Valley. 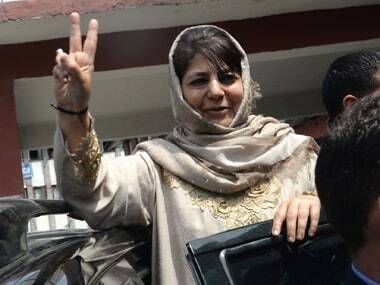 Mainstream political parties in Kashmir are already up in arms against the BJP's promise of striking down the special status of the state, with People's Democratic Party president Mehbooba Mufti saying warning as recently as Monday that abrogating Article 370 would lead to freedom for the state from India.